You think that there might be a leak going on in some part of your home, but you are not sure if that is the case. You are afraid that you might be dealing with something that is causing you to use more water than you need to and that could cause real damage to your home. No leak should be left alone when it comes to your home. 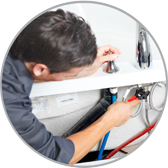 You cannot afford to have a leak going on that you cannot take care of and repair. When you are looking to find out if you have a water leak in your home, you need to seek out a company that will be able to find that out for you. We are here to handle your water leak detection in Chandler, AZ needs. As you are choosing someone who you can trust with water leak detection needs, know that we are trained to look for a leak in homes like yours. We know how to go about the search that we need to do to figure out if there is a leak in your home. We know where leaks can develop, and we know what the signs of leaks are. We can look for a leak in your home in a way that will leave you feeling satisfied and confident that the home will be okay. If you are trying to figure out who you should turn to for your water leak detection in Chandler, AZ needs, seek out our company and all that we can give to you. Know that we want the best for you. Know that we will work hard. Know that we have the experience and the training that we need to make sure that there is no undetected leak in our home. Let us help you care for your home by checking for leaks.